Blog Promotor Rent a Car Romania Blog Promotor Rent a Car Romania. Informatii utile despre serviciile de inchirieri auto. Noutati si aspecte importante de stiut inainte de inchirierea unei masini. A lot of consumers believe that rental cars in Bucharest airport are far more expensive than vehicles rented locally in America. However, bringing your car with you is even more expensive and takes a lot more time. The truth is: rental cars in Bucharest airport are no-more expensive than rental cars in America. If you know where to look and remember a few simple rules of the road. The tips below are for tourists who are considering rental cars in Romania Airports to help get around during their vacation. By remembering these rules, you can avoid paying higher costs to rental services who are only looking to take advantage of foreign customers. Shop around. There’s more than one rental car service in Bucharest, Romania. A particular rental company might even have an excellent price and selection of cars, but you still shouldn’t jump the gun. You won’t know if there is a better deal available unless you take the time to look for yourself. Go through at least ten different dealerships and review their prices, insurance, vehicle selections, and their customer service. All of these things are important if you want a quick, cheap, and friendly car rental process. Don’t look for a rental service after you arrive. Instead, use the internet to find a car rental service before you begin your vacation. Not only does the internet make it easier to find more local options, but by booking ahead of time, you can get better prices and you’ll be guaranteed that the vehicle you want is waiting for you when you arrive. If you choose to wait until you are in Bucharest, then you might be stuck driving a vehicle that you don’t like, consumes too much gas, or doesn’t have enough room. Sounds like a car rental nightmare! Don’t forget to bring all of your necessary documents needed to rent a car in Bucharest. Your license is mandatory if you plan on renting a car. Look on the rental company’s website and they should list all of the documents needed in order to rent the vehicle you want. Have all of these documents prepared and organized ahead of time. 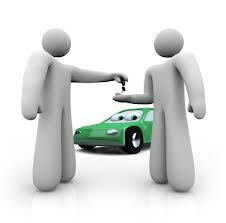 When you finally arrive at the car rental service, you will be fully-prepared and can finish the process quickly. Investigate the vehicle thoroughly before you actually pay the money. If there are any dents or scratches on the vehicle, then you should take pictures and make sure that the rental company is aware of their existence. This keeps you from paying more money by being accused of causing the damage yourself. Cele mai bune preturi si servicii, Rezervari fara avans si Anulare Gratuita! Livrare la Aeroport. dar si la ORICE adresa. Masini Economice & Premium. Preturi Mici cu toate taxele incluse. Pentru mai multe informatii, va rugam sa ne contactati la 0734 403 403.